People say that human’s heart is fickle; deeper than the sea, larger than the ocean. They say it’s unpredictable; has many unknown territories like the outer space. It has many blank spaces. When love comes to one, it stays. When the love is over, it doesn’t mean that it goes away just like that. Sometimes it never leaves. So when other love comes, does it replace the old ones? Nope. A heart has many rooms, blank space, as I said before. I used to believe that a heart has only one room at a time, for the most beloved one. As I grow up, I learn that it’s wrong. And there are many kinds of love too, that a heart can keep at a time. There are people who have many ex-lovers, jumping from one person to another in a short time. People like them are usually being judge by society as ‘players’, well, I used to be one of them who judge, ashamed, indeed. But now I understand, as I grow up, that they just try to look for what they’re looking for. And there’s nothing wrong with that. Lovers come and go, and not everyone is as lucky as you are who could devote to only one person in your lifetime. Some people, unlike you, have to go through so many before they could find the right one. Still, it’s better to fail many times rather than do nothing. On the day of my birthday, I was going on a little trip with my besties, a little escape from our daily routines. While we were riding along, the radio in the car was playing this one song, perhaps two times or more, it’s Taylor Swift’s “Blank Space”. And suddenly, just like that, this song was stuck in my head. Felt like the universe conspired to make me listening to it carefully. And so here we are, the last song for My Choices: Continue Living; it’s “Blank Space” by the one and only, Taylor Swift. This electro-pop song was released on November 10th 2014 and served as the second single from Swift’s fifth studio album, “1989”. Though all of the songs in the album are pop songs, as Swift described the album as her first official pop album, she doesn’t lose her lyrical touch, especially in “Blank Space”, and that’s what I love from her. As we know it, Swift always writes a song based on her own experience. Some say that’s childish, but for me personally, that’s brilliant. I’m a person who highly appreciates the act of sharing meanings, remember? And this song basically sums up her love life so far, while satirizing the media’s perception of her and her relationships. Romance is, indeed, whether will last forever or die in vain. Love is, indeed, whether will take us to marriage or end with a breakup. 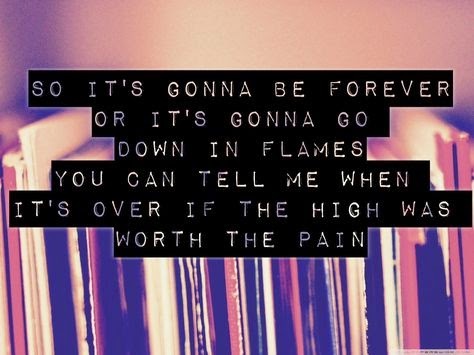 “So it’s gonna be forever, or it’s gonna go down in flames. You can tell me when it’s over, if the high was worth the pain. Got a long list of ex-lovers, they’ll tell you I’m insane. ‘Cause you know I love the players, and you love the game.” There is a long list of her ex-boyfriends who will spread fake news and things about her, because she had trust with them which turned to be fake. She wants to take this relationship too far, but if it doesn’t go well, there’s a space for one more name in the long list of her ex-boyfriends. “‘Cause we’re young and we’re reckless, we’ll take this way too far. It’ll leave you breathless or with a nasty scar. Got a long list of ex-lovers, they’ll tell you I’m insane. But I’ve got a blank space, baby, and I’ll write your name.” As cool as a woman can be, she could go all-in in love, but once she’s hurt, she never hesitates to put him on the list of her ex-boyfriends. Indeed, love could end whether beautifully or miserably. 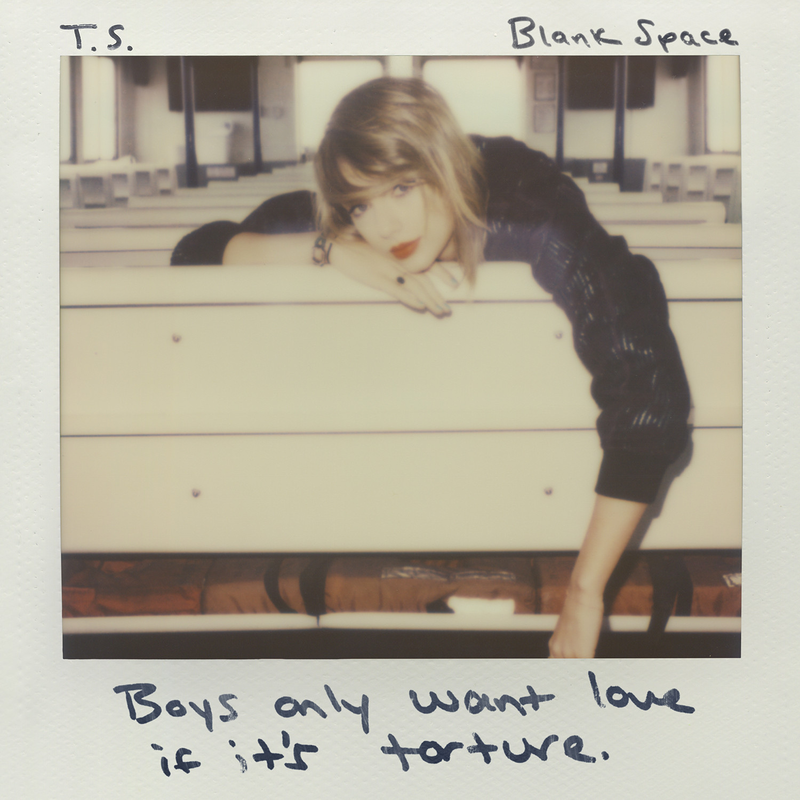 “Boys only want love if it’s torture. Don’t say I didn’t say, I didn’t warn ya.” As Miss Swift said herself in an interview, she was thinking about this, that boys only want love if it’s torture and a constant chase, but men want love if it’s real, right, healthy and consistent. A music video of “Blank Space” accidentally leaked on Yahoo! on November 10th 2014. It was directed by Joseph Kahn and starred model Sean O’Pry as Swift’s love interest in this video. The song itself was written, composed, and arranged by Miss Swift herself, as always, along with Max Martin and Shellback. It received not only acclaim from music critics but also commercial success, by topping the charts with sales of 155,000 copies in just its first week after the release. In its third week, “Blank Space” climbed up on number one position of Billboard Hot 100, making Swift the first female artist to replace herself at number one, as the number one song of the previous week was her previous single “Shake It Off”. A source said that it makes fun of her exposure in the media about her dating life, which portraying herself as “an overly attached man-eater who dates for songwriting material”. Well, as Robert Leedham said, “It's the work of someone who finds success in misadventure, instead of wallowing in it.” Knocking two birds with one stone, well done Miss Swift!